When a rock band can ride through 25 years producing ten top quality albums worth of material, you know their live shows are going to be something special. Not only that, but there is always an element of surprise around the setlist in this scenario. Even a well thought out setlist packed with just short of 30 tracks will still have some absolute belters missing. As ever this is the case for Stereophonics, but whatever they play it’s always close to perfection. 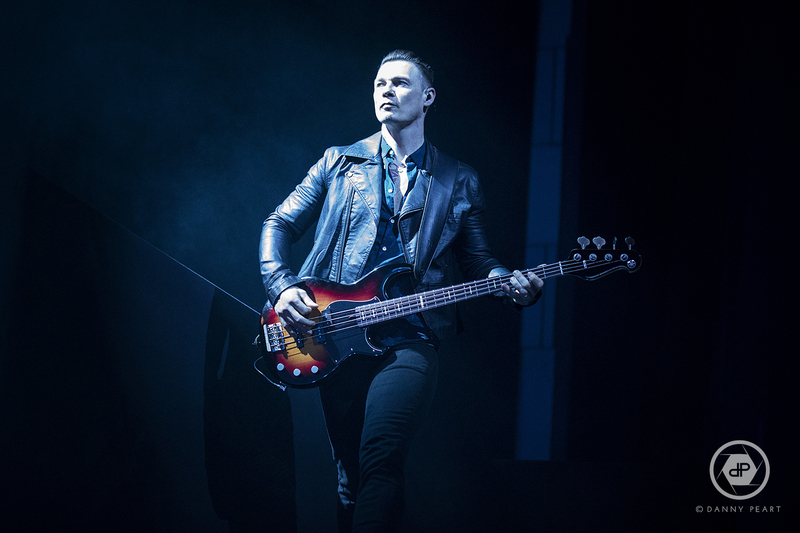 The Leeds Arena crowd are fully aware of what to expect from the Welsh rockers, and what they get is certainly not disappointing. A Catwalk extends from the stage glowing with pink flashing poles like something from a sci-fi film. Out of the darkness strolls frontman Kelly Jones armed with his trademark Gibson SG, mutedly strumming through the intro to new track ‘Chances Are’ as it builds up to it’s massive chorus exploding out of the speakers. It’s a fantastic set opener, and a track that somehow sounds even better live than it does recorded on the brand new album ‘Scream Above The Sounds’. Sticking with the newer material, ‘Caught By The Wind’ uplifts us out of the tense rock intro and has Leeds Arena singing along in unison to the emotional chorus, before 2015’s punk inspired ‘C’est La Vie’ has us all bouncing around. 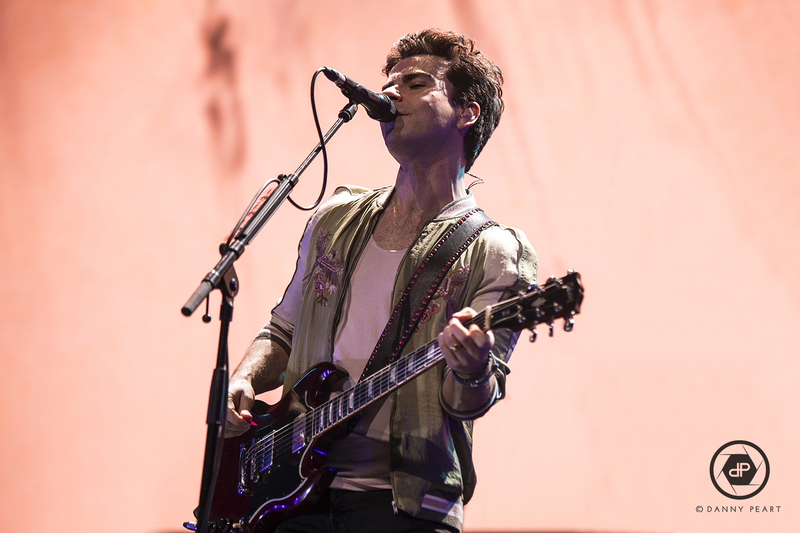 The setlist contains a good selection of the new album ‘Scream Above The Sounds’ as expected, but those tracks that do feature prove its worth as one of Stereophonics classic albums which we can’t help but feel is taken for granted due to the high standards they set themselves with every new release. ‘Geronimo’, ‘Boy On A Bike’ and the openers all sounds fantastic, and it’s great to finally hear the new material live. Stereophonics sound incredibly tight as a band and power through every note and squealing solo with ease making it look effortless. 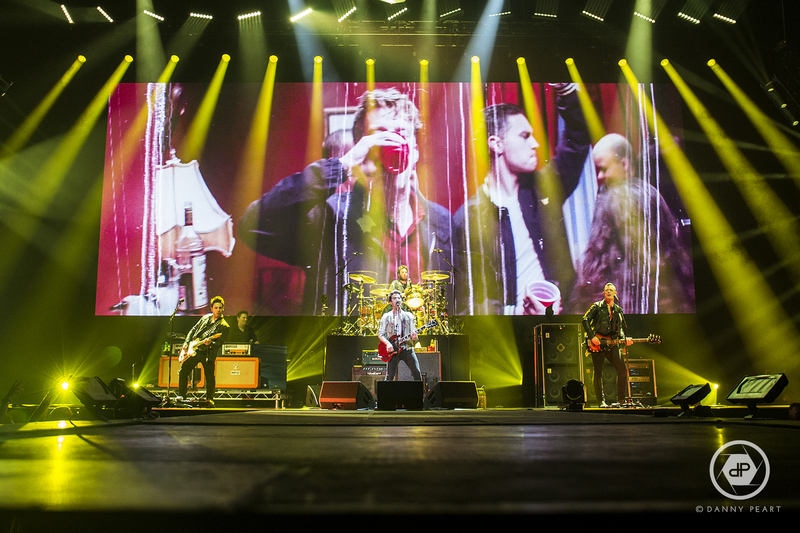 As ever, supersized arena hits are sprinkled throughout the evening such as ‘Have A Nice Day’, ‘Maybe Tomorrow’, ‘Mr Writer’ and ‘A Thousand Trees’ which all provide memorable moments from the show. Even the likes of ‘Superman’ returns to the setlist much to the delight of the fans. A quick break mid set finds the catwalk decorated with a tatty rug and lampshades ready for a stripped back live lounge feel as they perform ‘I Wouldn’t Believe Your Radio’, ‘Been Caught Cheating’ and the incredible cover of Chris Farlowe’s ‘Handbags and Gladrags’ Stereophonics are known so well for. As ever, ‘Bartender and the Thief’ sparks up chaos as the crowd mosh away for one of the liveliest moments of the night, and before we know it we’re amid the encore. ‘Mr and Mrs Smith’ has the privilege of kicking off the final part of the night with its infectious feel good chorus you can’t help but sing and clap along to, and a thunderous drum solo from Jamie Morrison. 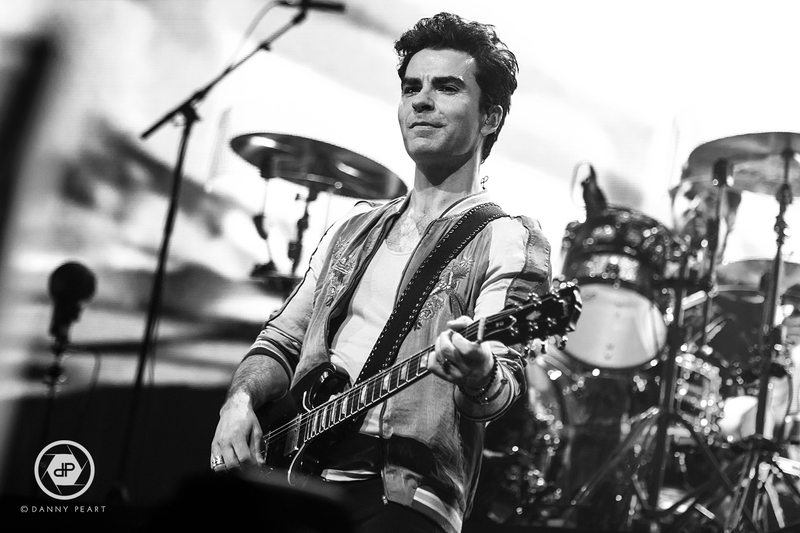 It wouldn’t be quite right if Stereophonics didn’t end on the ultimate high, and with 2005’s ‘Dakota’ it’s seemingly impossible to close the show any better. 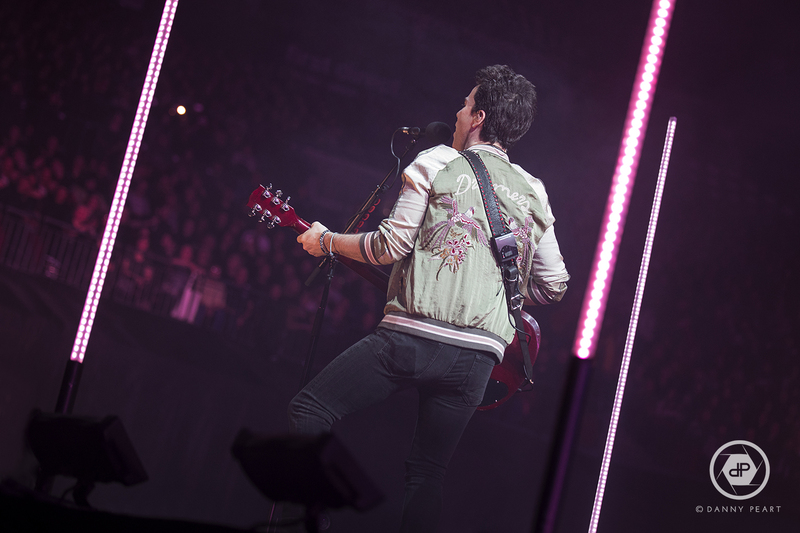 It’s an all around solid performance from Stereophonics from start to finish, and there’s a real sense of personality to the show with the production to top it all off. A true timeless band that will live forever. Check out the live photos from this show here!